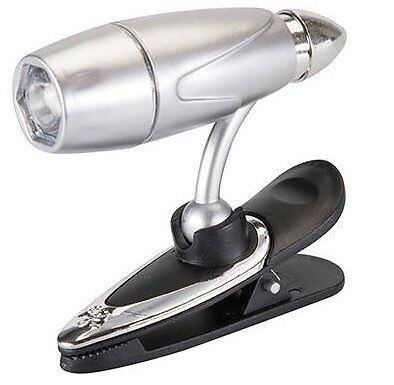 Brand New Clip on Car Light, Night Reading Book Torch Rotating Vent Clip-on book light with ball joint for 360° light positioning. Simple on/off switch. Includes 3 x AG13 batteries. Used for Night Reading, The rotating clip on light is useful for Reading, Or Used for other purposes in vehicles.